Here's how to contact your local Conservation Officer (CO): call Fish and Game's Dispatch Office at (603) 271-3361. From December through September, the line is open Monday through Friday, from 8:00 a.m. to 5:00 p.m. (closed from noon until 1:00 p.m.); Saturday and Sunday, 7:00 a.m. until 7:00 p.m. The Dispatcher can relay a message to your local Conservation Officer. 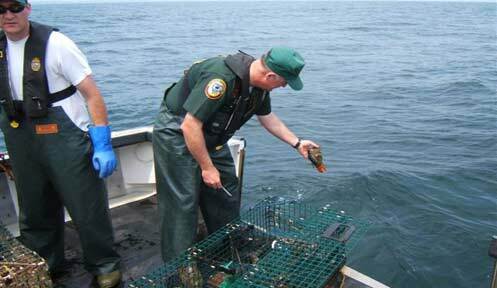 If you have a question about Fish and Game laws and rules, call (603) 271-3127. If you have a question about wildlife, fishing, hunting, OHRVs, etc., please try the search box at the top of any page, or Frequently Asked Questions section of this website first. Visit the Law Enforcement Division's webpage for more information. Regional offices are open weekdays from 8:00 AM to 4:00 PM.